If you are struggling to land your dream job, maybe your CV needs improvement. This infographic/cheat sheet details how to write a winning which gets the attention of future employers. Arnold Schwarzenegger is one of the most successful bodybuilders, actors and Austrians of all time. He is an inspiration and this classic speech is one of his most profound. 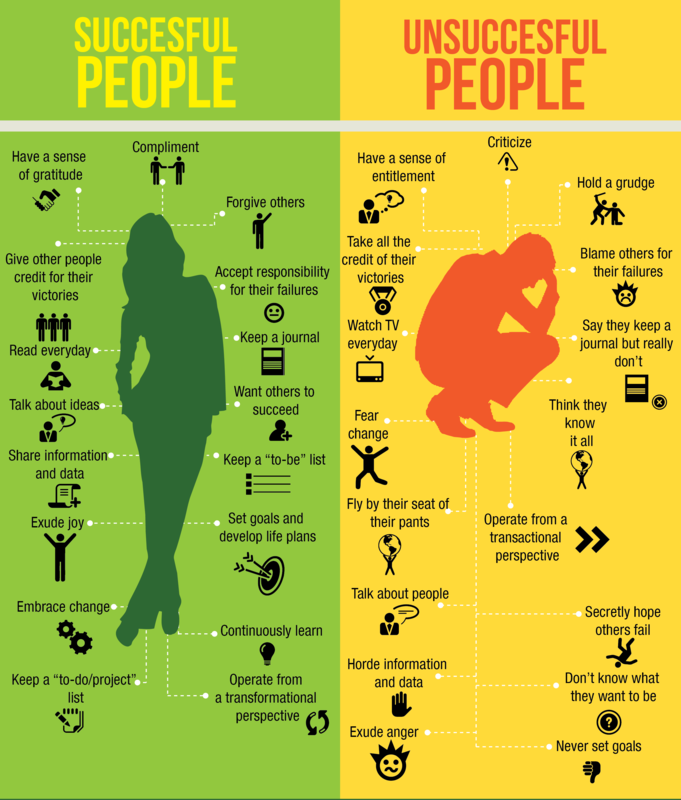 This poster shows some of the key differences between successful and unsuccessful people. This baby is getting printed out and stuck up in the office!